Whenever there is a thought to completely clean your iPhone, the first thing that comes to mind is full factory restore. However, have you ever thought of some other ways to erase iPhone data without restore? Primarily, if you simply want to delete certain types of files while keeping the settings of the phone as they are, factory restore is not an option. One of the disadvantages of restoring your iPhone is that you do not have control over what you want to delete, your'll lose your favarite iPhone songs, meaningful photos and other important data. You are also likely to lose your settings which may cause confusion later when you use certain functionalities. 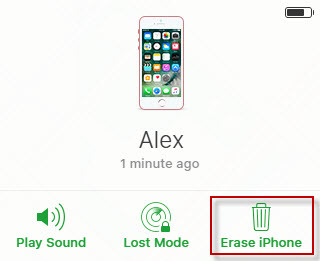 Method 1: Permanently Erase iPhone Data without Restore, Data 100% Unrecoverable! Method 2: Manually Delete iTems One by One, Data Recoverable! Method 3: Factory Reset iPhone, Data Recoverable! Method 4: Erasing iPhone Remotely using iCloud, Data Recoverable! So, how can you erase selectively your iPhone data without using the restore setting? Erasing iPhone data permanently can be done without having to restore the phone altogether. In fact, doing so is rather preferable due to the extra amount of control you get when you are deleting things yourself. 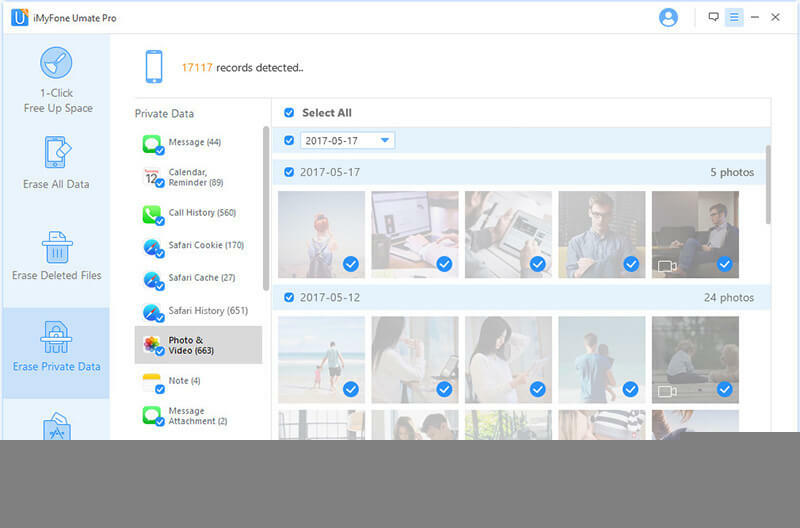 The simple answer to this question is to use iMyFone Umate Pro or iMyFone Umate Pro for Mac – the ultimate data erasing solution for your iPhone. iMyFone Umate Pro can effectively erase your data so that it is 100% unrecoverable. This ensures safety and security of the highest level. 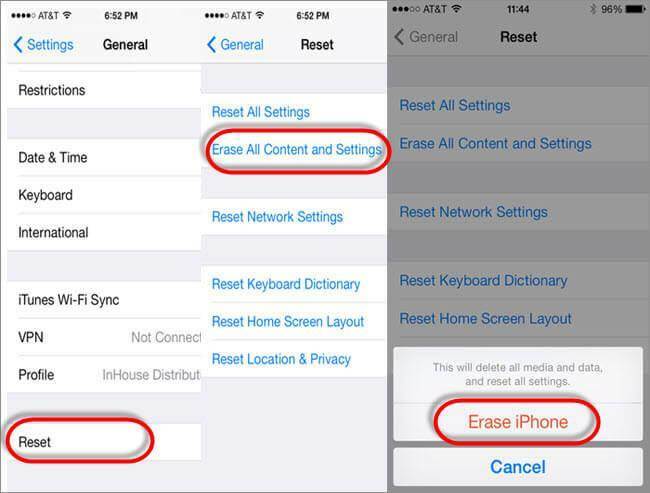 Below are the steps that you can follow in order to erase iPhone data without restoring. Step 2: Click on “Erase Private Data” option, preview and select files to delete, then click on “Erase Now”. Step 3: Type in “delete” to confirm and click “Erase Now”. However, this is just the tip of the iceberg. There are numerous other things that you can do with iMyFone Umate Pro. 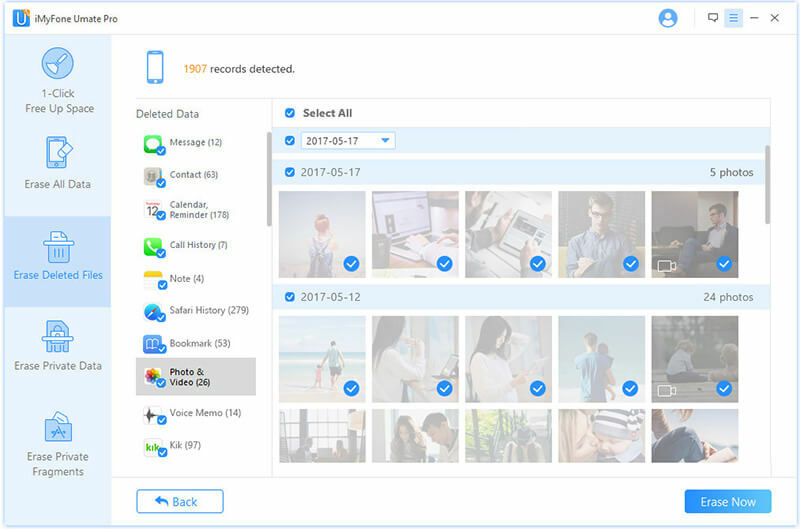 Not only can you delete almost every type of file, but you can also erase things like WhatsApp messages and attachments along with third-party app data. Furthermore, you can remove previously deleted files. This makes sure that even the files you had manually deleted, are completely eradicated from your system, thereby making them absolutely unrecoverable. Another way to delete everything is to do it manually. However, we all know how much time-consuming and tedious such a task can be. Moreover, there are files that simply cannot be deleted manually due to certain restrictions. In addition, the files that you delete as such, can be recovered using various data recovery software. As such, it is a safety risk. If, in the end, you still prefer restoring your iPhone, then the factory reset option is the only way to go. To factory reset, you will need to go to Settings -> General -> Reset and tap on “Erase All Content and Settings”. All your data would be deleted and settings restored. You may also erase your iPhone remotely through iCloud. That is, you do not need to connect the phone to the computer. To do so, you need to go to iCloud.com and go to the “Find My Phone” option. Click on “All Devices” and then select your device. You can then erase your data from there. There are indeed a number of methods to delete data on your iPhone without restoring. After all, erasing data can be quite important since the information stored can be misused by others. In addition, removing data can go a long way in improving the iPhone performance. Unnecessary files can slow down the speed of your system and take up a lot of storage space. Erasing data also becomes necessary when you are planning to sell your phone for a new one. In these situations, it is extremely important to make sure that all your data is erased and is completely unrecoverable. Permanent erasure is therefore necessary. This implies that simply deleting data manually is not enough. As mentioned earlier, apps like iMyFone Umate Pro remove data permanently so that they cannot be recovered in anyway. This ensures that you are properly protected from any sort of information theft.